← The Death of iTunes? Well after an immensely fun, busy and productive weekend my brain is just catching up with all the awesomeness. 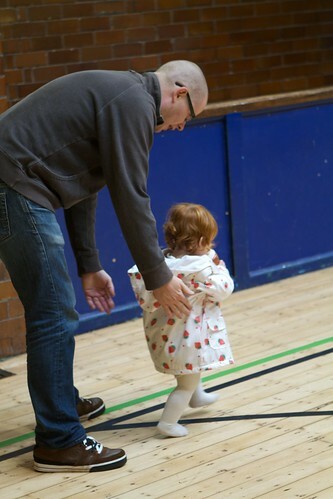 The weekend was mainly based around gigs, Unconvention 12 (#uncon12) and hanging out with my daughter. Saturday was full of awesome, hanging out with some of the most cutting edge folks at Unconvention 12 in Salford. Great thinkers, strategists and content makers meet at this event. I always come away with my head full of great ideas. If you are a independent music maker you need to attended one of the many Unconvention events organized by Ruth and Jeff from Fat Northerner Records. After the first few panels and an excellent Caribbean veggie lunch I had to leave for a gig in Derbyshire. The gig involved 3 sets at a rammed hot and sweaty venue. The audience were up for fun and so were the band. It looks like that will be the last gig for that particular line up. Its been fun, but all good things come to end eventually. Sunday was back in Salford, but this time at the historic Salford Lads Club. I headed up early with Smiths tunes in my head and my daughter in the car seat. Spending the day with my daughter was the real highlight of my weekend. We don’t get to spend enough time together, she is so cool and laid back, she is easy to take anywhere. Eating sandwiches and crisps in the van together was the real highlight.